If you've got young kids, then you probably know what it's like to be sick. It seems like they're always bringing something home from school, and it's nearly impossible to keep it from spreading around the house. That's because bacteria and viruses are so tiny they can remain airborne for days, just waiting for you to walk by and take a nice deep breath. 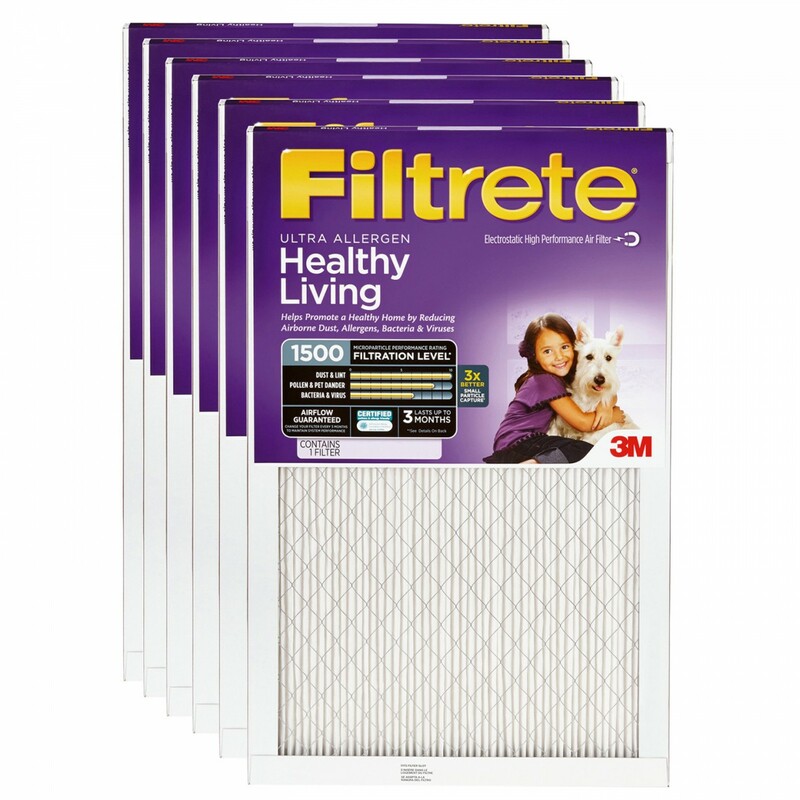 The good news is that the Filtrete Ultra Allergen filter does a great job of snatching bacteria and viruses right out of the air, so grab a 6-pack and at least you'll have a fighting chance. 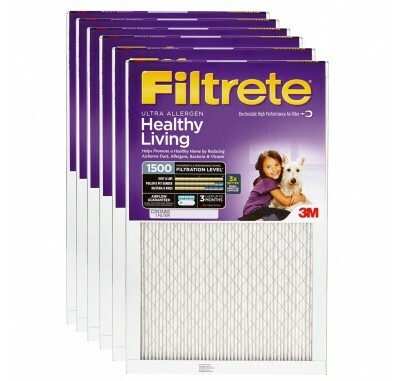 The Filtrete Ultra Allergen 2020DC-6 Filter fits heating/air conditioning systems that use 1-inch replacement filters. The filter uses pleated fabric to remove contaminants for up to 3 months. 25% More Efficient and 15% Better Airflow than the Filtrete Micro Allergen Filter. Electrostatically charged fibers act like tiny magnets to capture even the smallest particles.